Not much is said about industrial cleaning as an industry. People looking at productivity and sales targets often have little time to concern themselves with cumbersome details such as the cleaning of halls, facilities and tools. With White Lion you have found a partner who knows the challenges of industrial cleaning well. Our professional services guarantee that you can always offer your employees clean and safe work environments and tools. This doesn’t only improve motivation in general. A regular and sustained industrial cleaning extends the life expectancy of all work equipment from screwdrivers up to assembly halls including all the machinery within. Cloth and cleaning solvents may be helpful for the day-to-day business – but for a professional industrial cleaning, it’s necessary to bring out the big guns. 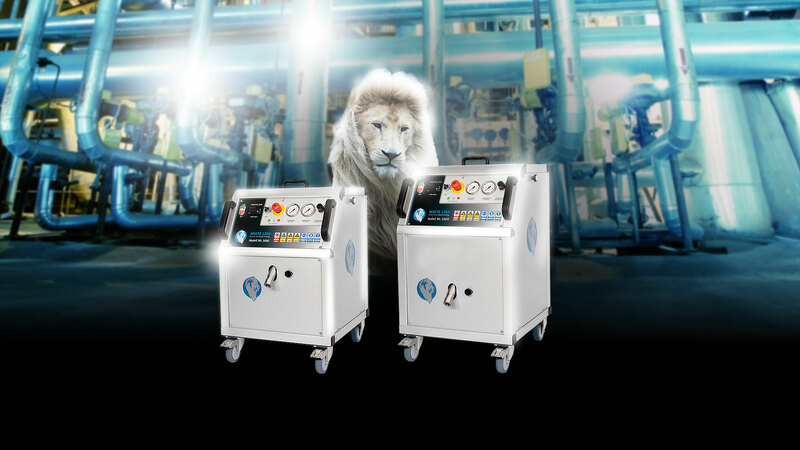 With White Lion you have found a partner who brings high tech to the table. We rely on highly effective machines that we developed ourselves. 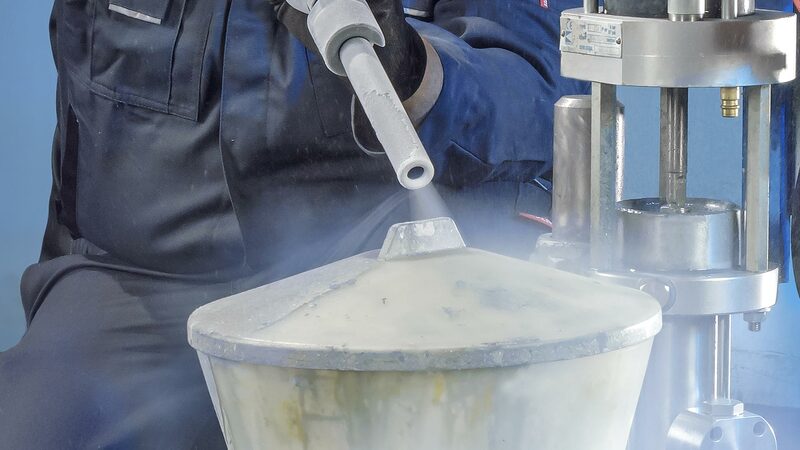 For more than 20 years we’ve said: “industrial cleaning with dry ice blasting.” This environment friendly and highly effective application has been a convincing solution for decades, without undesirable side effects. We are still convinced of dry ice cleaning as our method. Yet, there are applications for which we can offer an even more efficient and effective method. Dry ice cleaning is highly effective and lasting – but it’s also comparatively loud. If you’re looking for a quieter solution, we can offer you laser cleaning for your particular challenges in industrial cleaning. The advantage of this method is that it doesn’t need any blasting agents. Laser cleaning works by directing a high frequency laser beam onto the contaminated areas. A laser cleaning always hits the desired area with an accuracy of a hundredth of a millimetre. It is therefore especially suited for automated processes for which a continuous contamination is part of the production process. As a form of industrial cleaning, laser cleaning is also excellently suited for the treatment of walls and floors. We not only perform the industrial cleaning ourselves, we also develop our own solutions for it. With our extensive assortment of goods of first-class cleaning machines, we are a high-capacity partner for users and service providers. The equipment of White Lion helps cleaning companies worldwide to provide best results for satisfied customers. We invest in research and development, as well as the training of our staff, to ensure it stays that way. Like this, White Lion will stay a guarantor for first-class and innovative industrial cleaning solutions in the future.